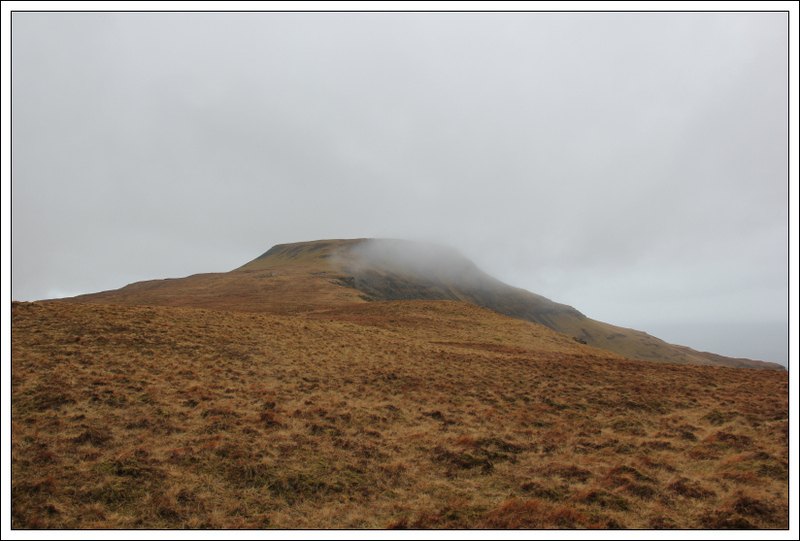 The MWIS forecast for today was awful; persistent rain, gusts to 70mph and cloud down to 350m. 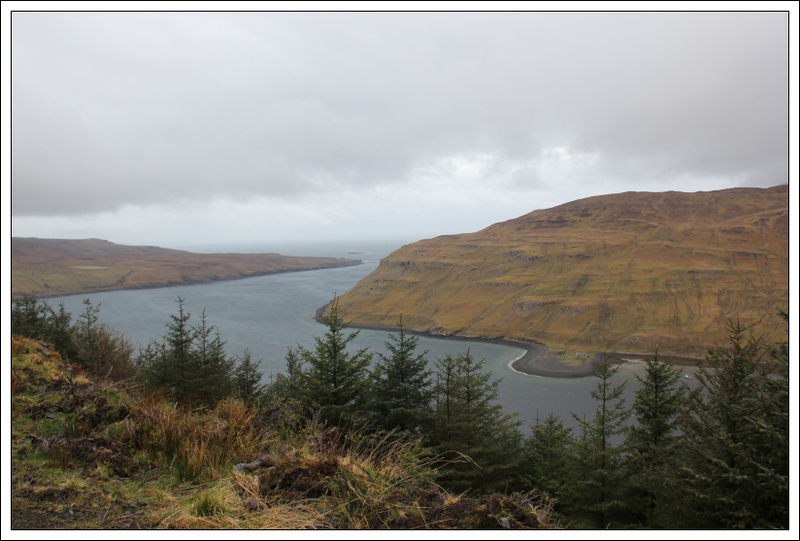 Various options were discussed in the bunkhouse including coastal walks and shopping in Portree! Bob suggested an ascent of An Cruachan from Glen Eynort. 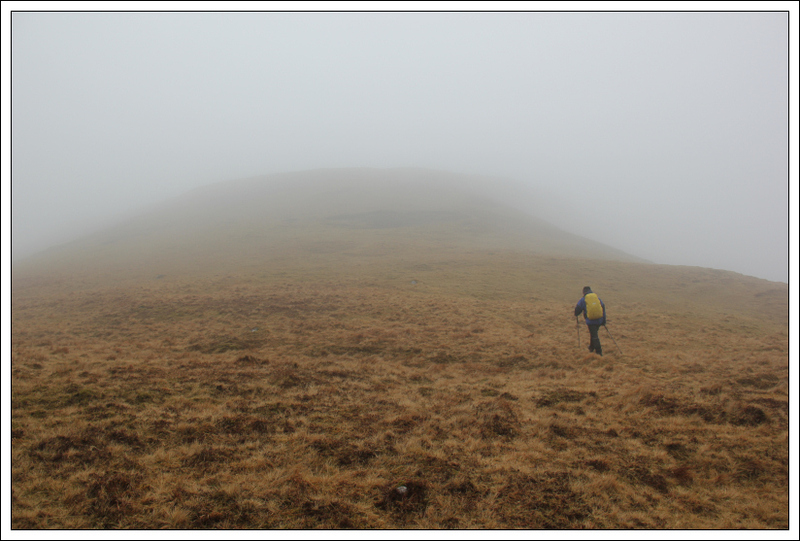 Given An Cruachan was a Marilyn that I had not previously ascended, I was happy to accompany Bob for an ascent of this hill. 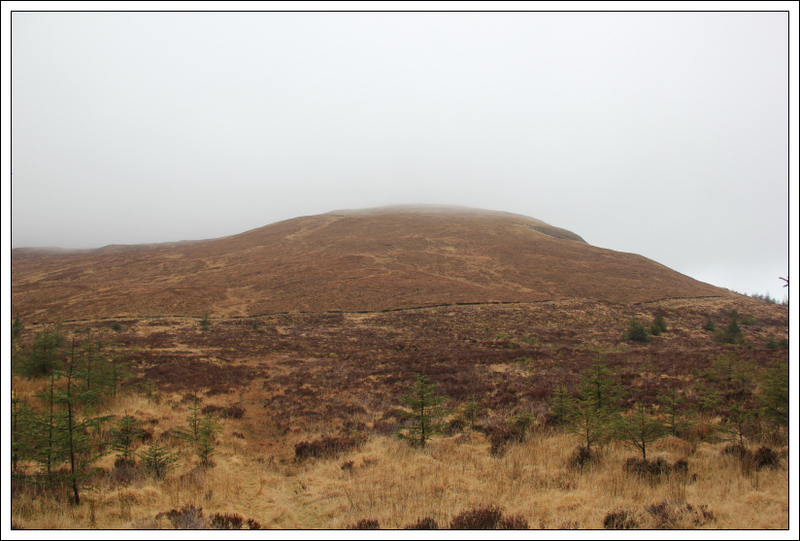 I had previously intended to ascend this hill as a quick up and down from Glen Brittle. 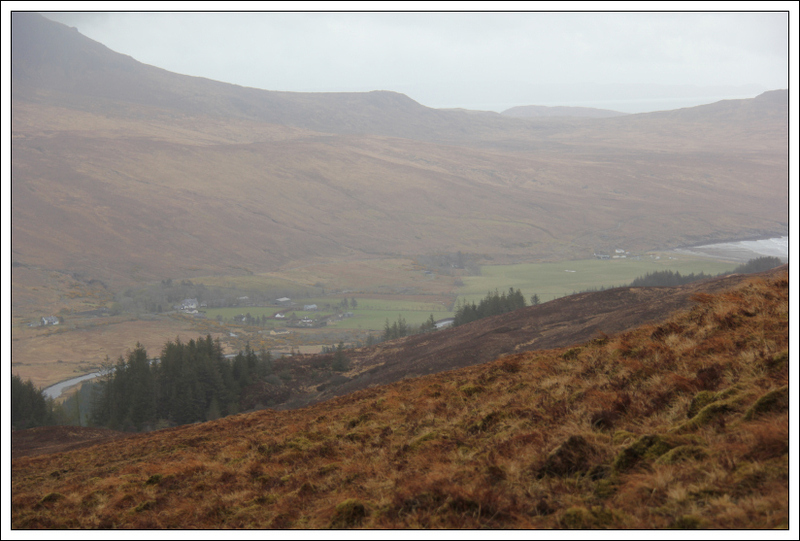 Today, we opted to ascend from Glen Eynort providing a much longer walk. On arriving at the starting point, we put on our waterproofs before setting off along the forest track. We decided to take the upper forest track and return via the lower forest track. 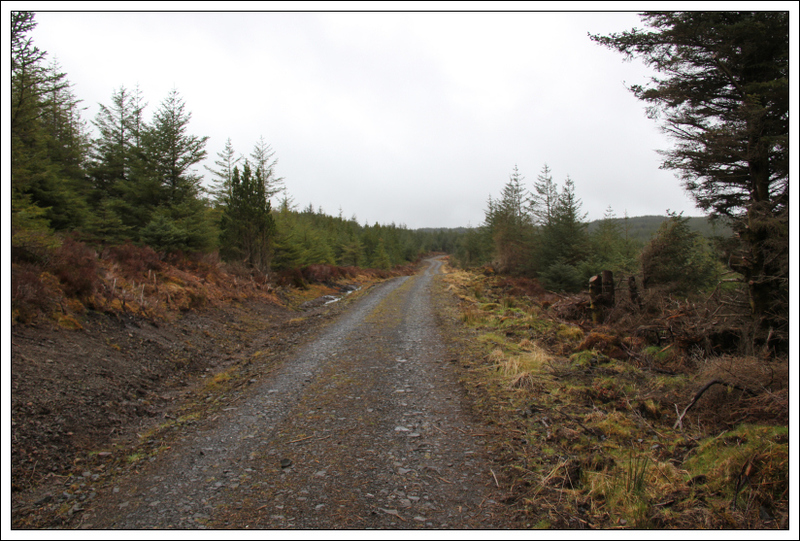 These excellent quality tracks are way-marked providing a couple of forest walk loop options. 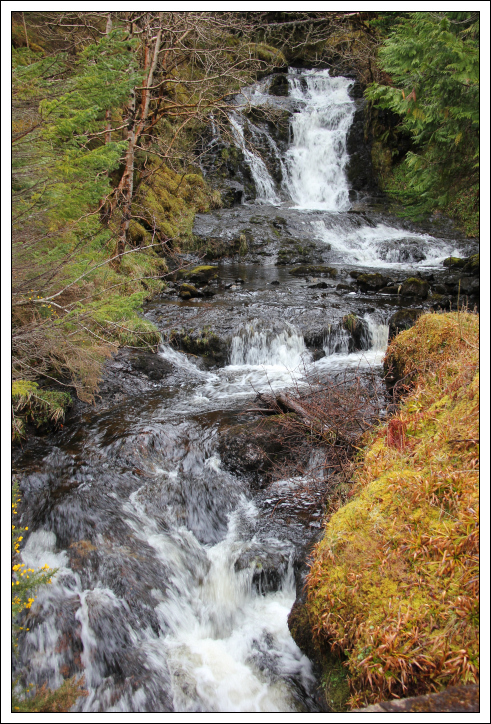 During the initial zig-zag ascent, we passed three sections of the same waterfall. This is an excellent waterfall that would look fantastic in its entirety from the bottom if only some of the trees next to the waterfall were removed. 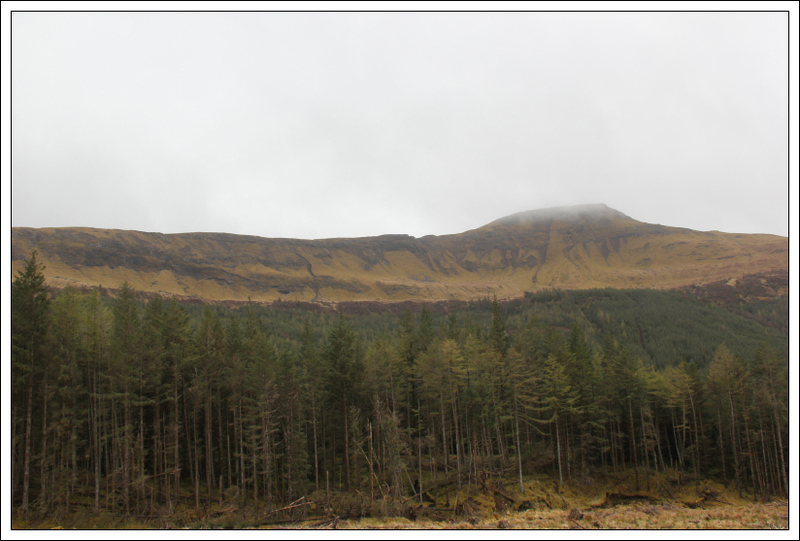 Once beyond the waterfall, we followed the upper forest track in the direction of An Cruachan. On checking my GPS, at one point we had ascended 300m to get to a height of 100m. Quite a bit of up and down. 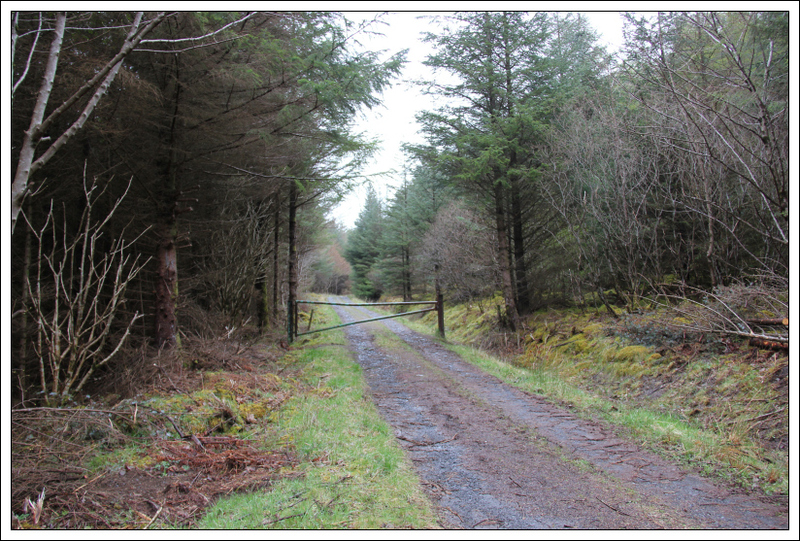 The way-marked forest walk loop would make a good walk in itself. There are a number of picnic tables alongside both the upper and lower tracks. 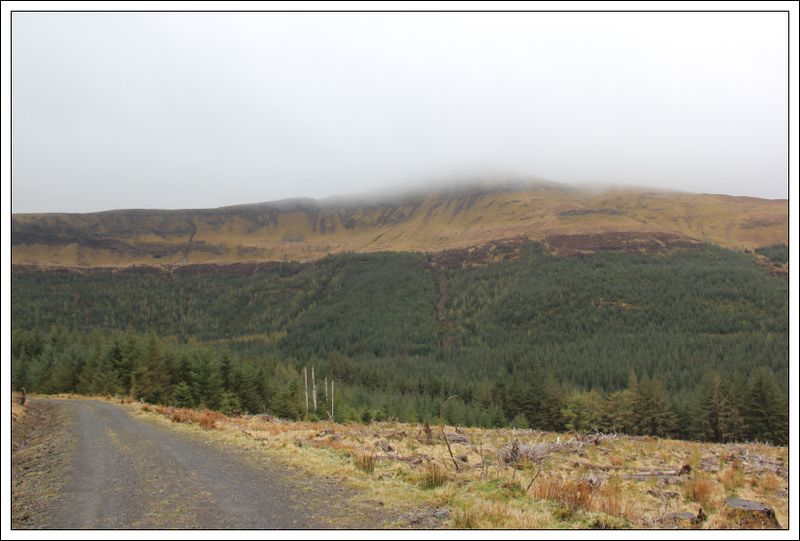 It was disappointing to see An Cruachan capped in cloud. However, thus far the forecast was not as bad as had been expected. The walk through the forest provided shelter from the wind. On reaching Bealach Brittle, we left the excellent track and followed a faint ATV track towards An Cruachan. 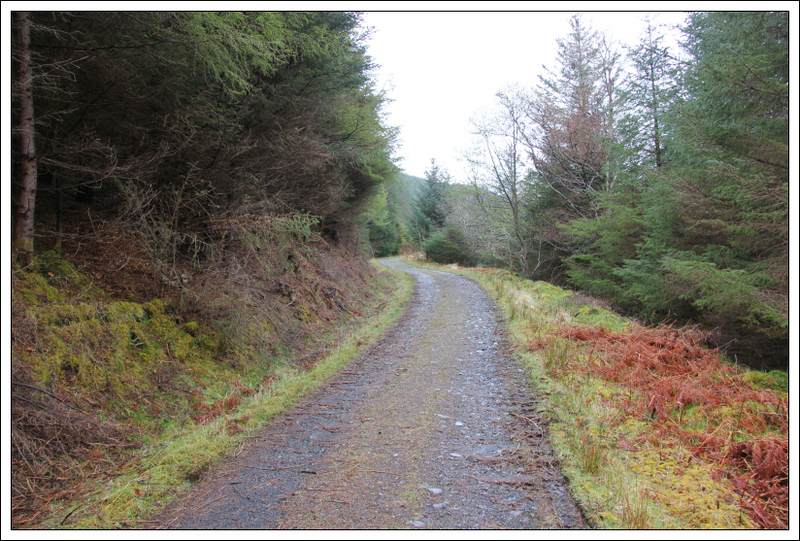 After passing through a wooden gate, we followed another track skirting round the side of An Cruachan. When the track faded out, we headed directly towards the summit. As we gained height the wind increased in strength. I wouldn't have fancied being up on the Cuillin ridge today. 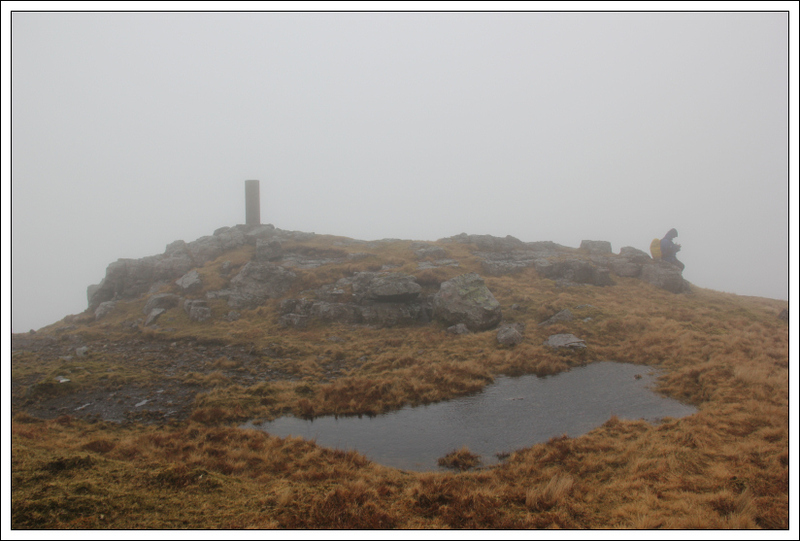 We didn't hang around long at the summit trig point as views were pretty-much non-existent. This hill would provide excellent views across to the Southern Cuillin on a good day. From the summit, we returned back to Bealach Brittle via the same route and then returned to the car via the lower forestry track. This is a Marilyn that I may repeat on a better day as I am sure it is an excellent viewpoint on a good day.